In my spotty posting of late amid vacations and hurricanes, I've been focusing on children's nonfiction, slowly chipping away at my initial statement that it's hard to find good books in the genre. 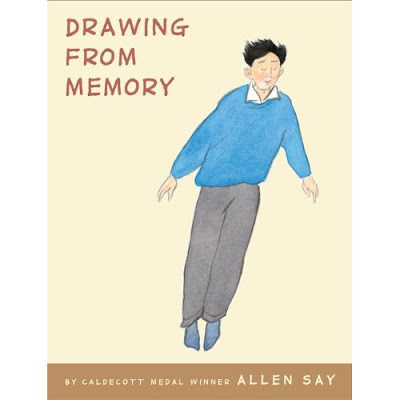 Allen Say's Drawing from Memory, though, is a particular standout, and particularly unusual: an autobiographical memoir in the form of a picture book. Say is a revered veteran children's book author, responsible for dozens of charming and always very beautiful picture books whose art bears the influence of his Japanese origins; several have become family favorites in recent years. In Drawing from Memory, he turns his immense talent upon his own life—and specifically on his road to his lifelong career as a cartoonist, artist, and author. And the author's means of conveying his story is breathtaking: He expertly blends words, real family and historical photographs, and his own illustrations of memories of places, people, and situations (along with wistful and occasionally heartbreaking confessions of lapses in that memory, as when he cannot recall the name of a favorite schoolteacher). The resulting combination of media is more or less unique, and makes the already personal tale Say is telling almost impossibly so. You feel at times as if you're right there alongside the author as he journeys through his life. This is not, clearly, your typical picture-book fare, especially as Say's childhood coincided with World War II, and as such, the intended audience is certainly a little older than one expects a book of this size and shape to be. But his treatment, while it doesn't shy away from the facts of his life and the history going on during it, is never overly grim, and our six-year-old (who's starting to show some interest in cartooning himself) was fascinated by the true story. Kids older than that, particularly if they have any interest in drawing and/or storytelling themselves, will be rapt, I think. As will most adults with such interests—or who have childhoods of their own to remember. 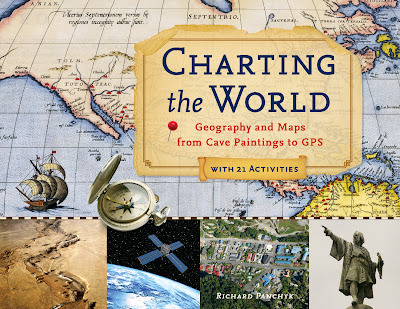 Simply put, this is a book about maps, and Panchyk covers all the bases, starting with the history of geography itself and then moving on to that of mapmaking, from, as the subtitle says, "cave painting to GPS." It's true history, too, not dumbed down in an attempt to appeal to its younger audience in the slightest, which I know kids who are truly interested in the subject will appreciate. But what keeps Charting the World from being nothing more than a good middle-school textbook—and mind you, it would be an excellent base for teaching classes on geography, cartography, or even certain aspects of history, I think—is the 21 activities Panchyk has interspersed through the tour. Kids are given the chance to put the skills they're reading about into direct action—using a contour map to build a 3D island model, say, or surveying their own backyard, or making a nautical map of a playground puddle. This hands-on approach to learning is, of course, a time-tested tool of kids' science books, but it's novel and refreshing to see it applied to a nonfiction children's book that's as much about history as science. 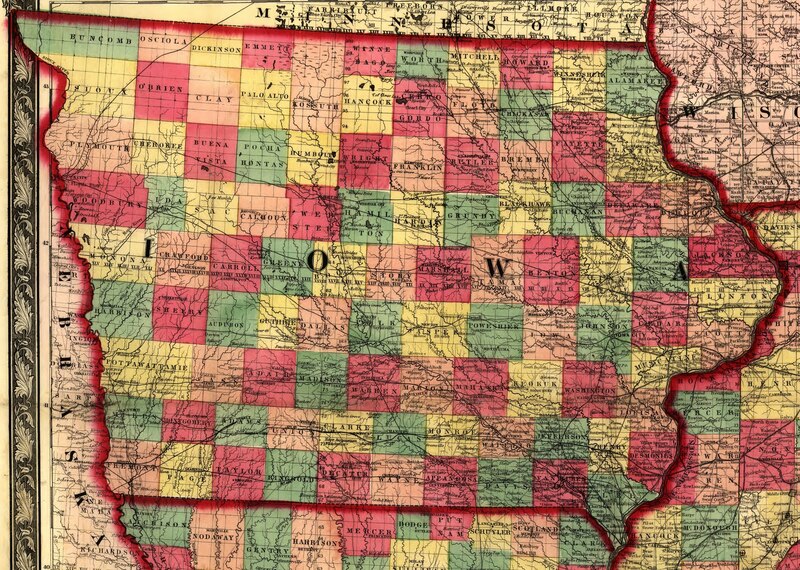 And it works like a charm in making a book that could, despite its many vivid images and illustrations of maps past and present, have seemed dry at first glance more appealing and inviting to kids. The technology of paper crafting in publishing seems to have undergone a revolution in recent years, with the results perhaps most evident in the realm of pop-up books. No longer the simple, somewhat cheesy little books of our generation's childhood, these are now dazzling works of paper engineering, led by the amazing work of Matthew Reinhart and Robert Sabuda. But until now, the intricate folds and designs themselves were the wonder in these books. Ido Vaginsky's Spin takes the genre in another new direction, one of artistic double entendres. Pull the tab, and the cow head does a series of (surprisingly speedy) twirls before settling upside-down—at which point you realize that viewed this way, it's an owl. 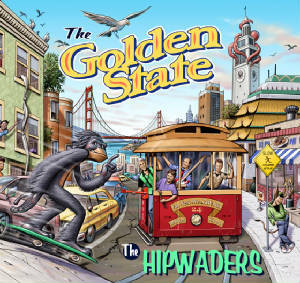 And so on with a series of cleverly designed illustrations that change form depending on how they're viewed. The combination of paper mechanics—again, like old-fashioned tabs and pop-ups on steroids—and visual magic is dazzling and, in fact, somewhat thrilling. All of which makes Spin a whole lot of fun. I'm starting to be grateful that my kids and I speak the same language Australians do, and can thus easily enjoy the uniquely imaginative creative works natives of that country are creating for children. The Upside Down Show, Martine Murray's Henrietta series, the illustrations of Sophie Blackall and Freya Blackwood—the list goes on and on. Australian writer Libby Gleeson's Half a World Away (which was illustrated by Blackwood), a lovely, dreamy treatment of the childhood-friend-moves-away trope, is another product of Down Under that's become a family favorite. 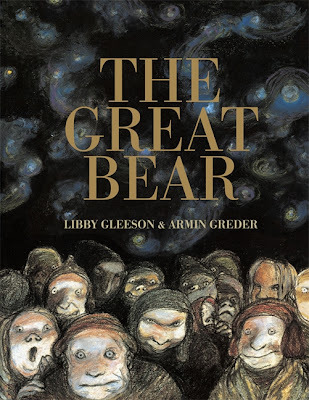 So we were eager to read her latest, The Great Bear, which features dark, evocative illustrations by Armin Greder, as you can see from the cover. The book's end notes explain that this story is based on a dream Gleeson had (dreams played a significant role in Half a World Away as well), and Greder's illustrations reflect that, going from slightly nightmarish to open reverie as the plot unfolds. The dark setting is a bit eyebrow-raising for a children's picture book, and I can imagine some of the younger set finding it all frightening, but our three-year-old was riveted (in a good way). And the surreal denouement is quite beautiful to watch unfold, for child and parent alike. Like Gleeson's earlier book, The Great Bear uses words and images to express a combination of consciousness and subconsciousness, in a unique way. 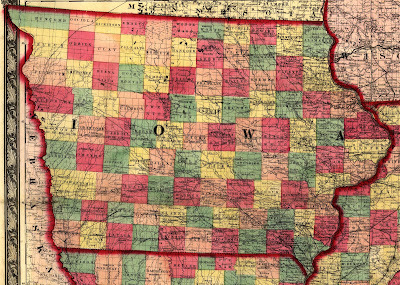 I think many kids—and many adults—will be irresistibly drawn to it, as we've been.